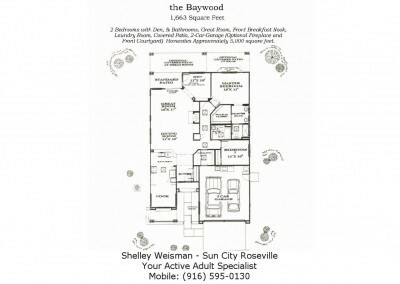 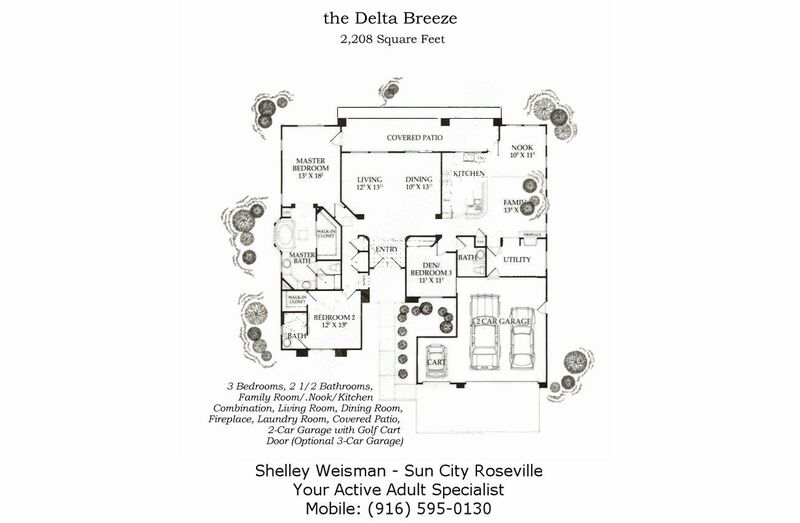 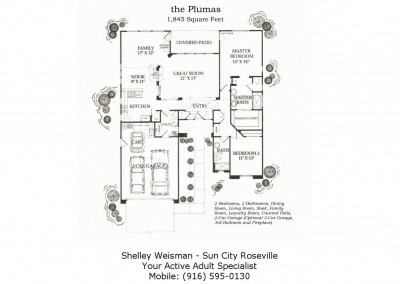 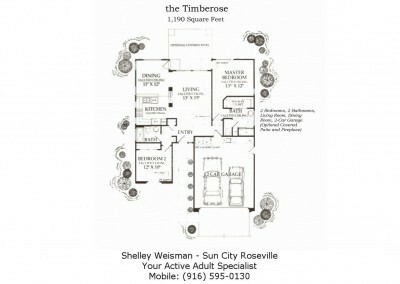 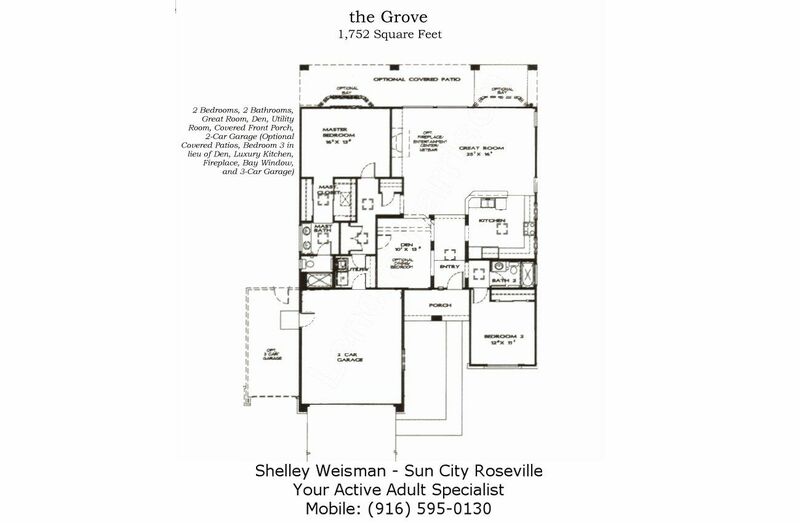 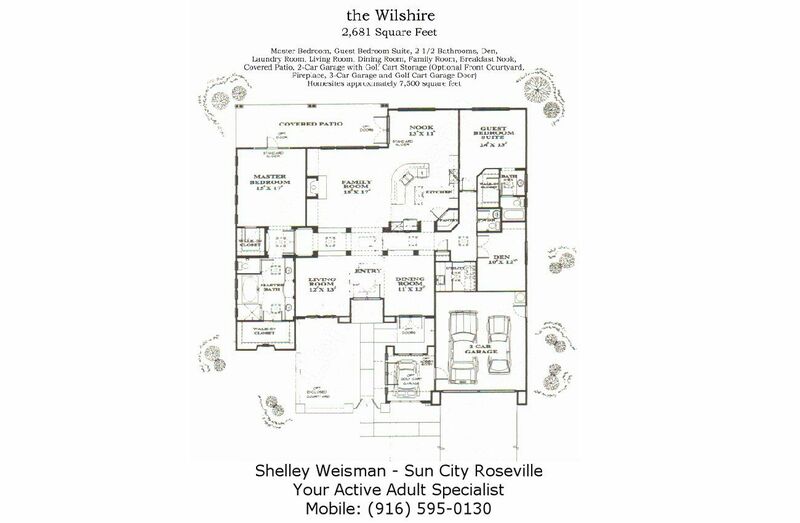 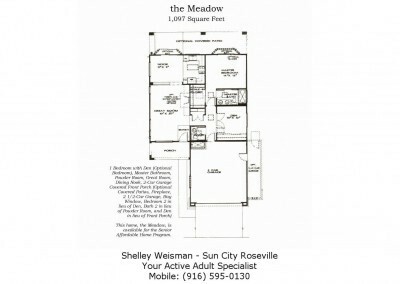 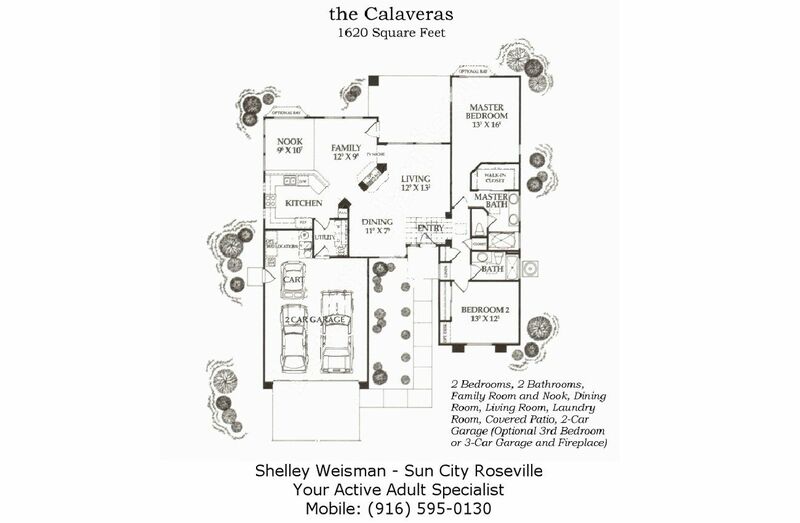 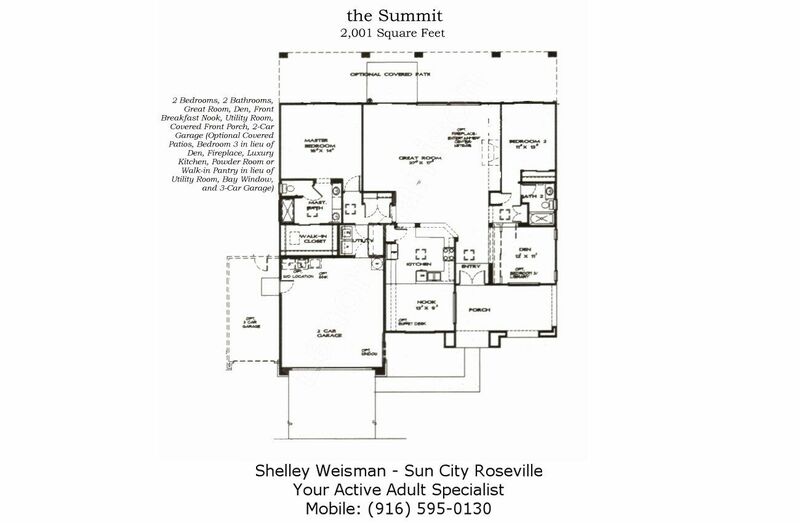 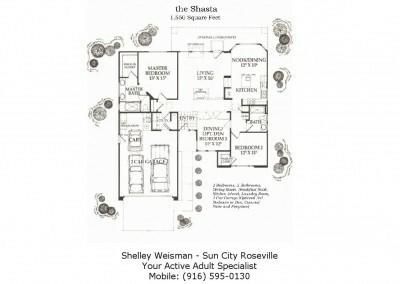 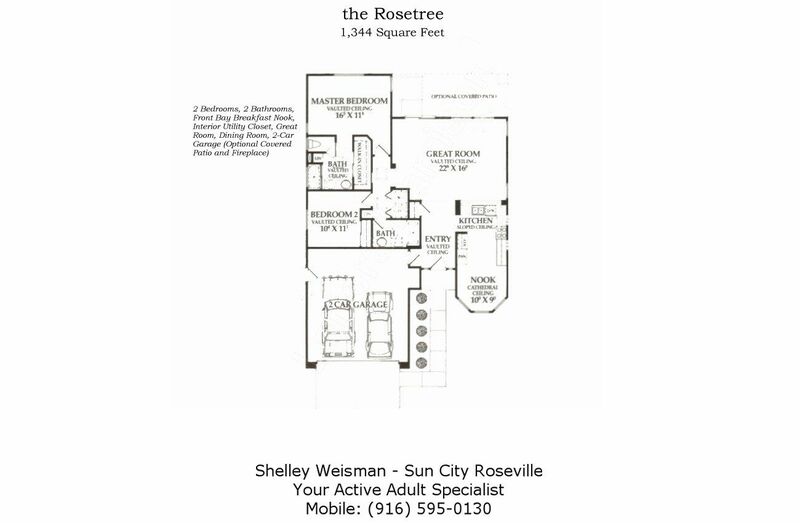 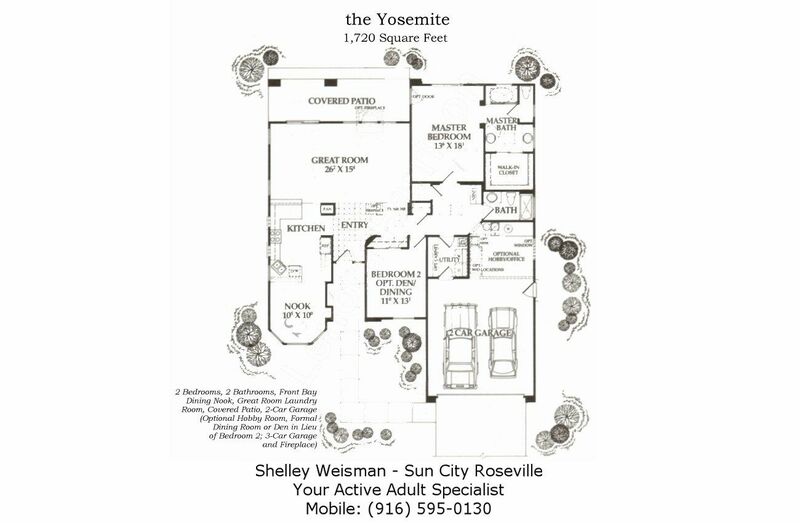 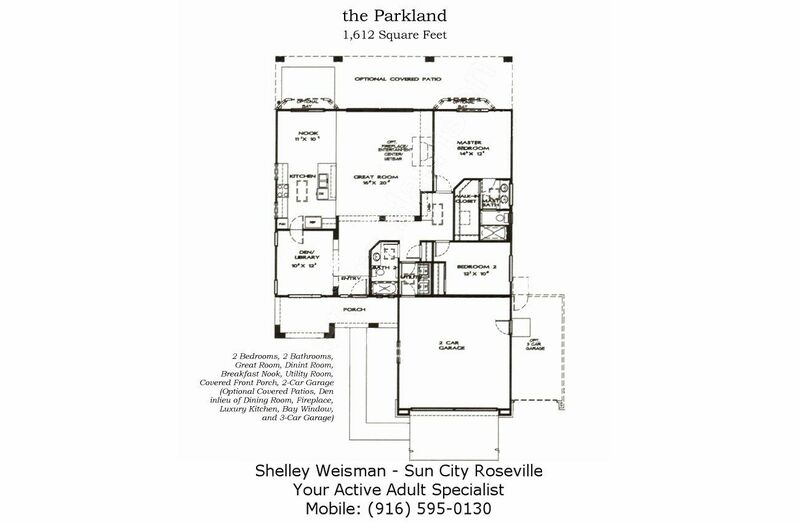 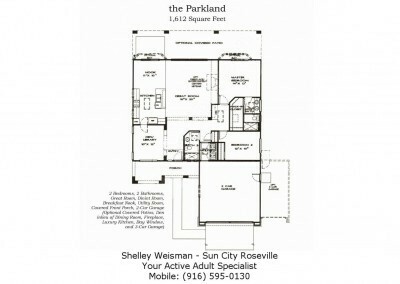 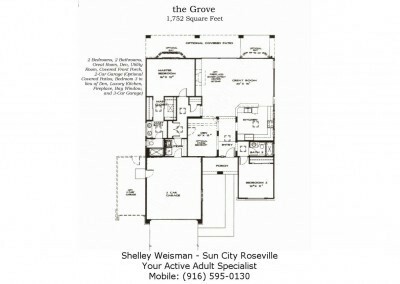 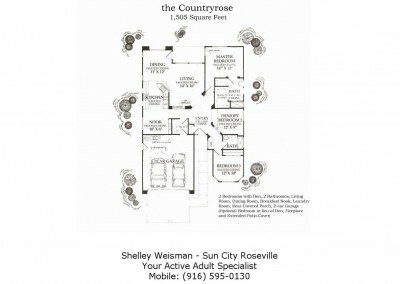 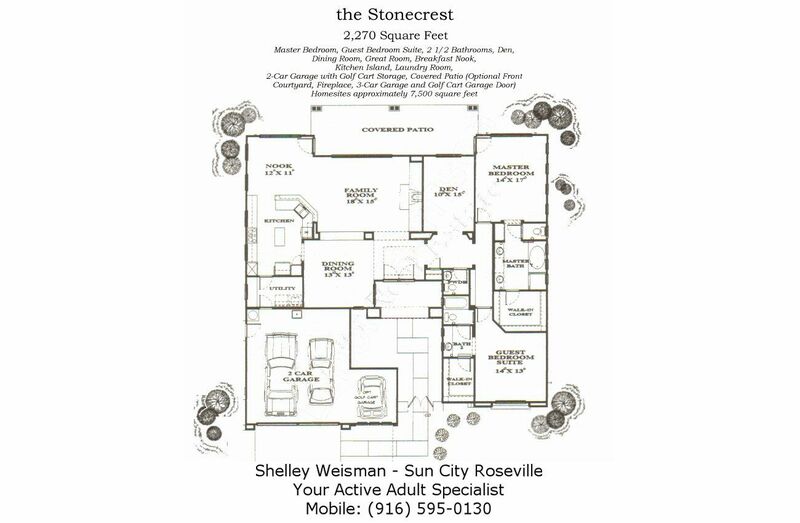 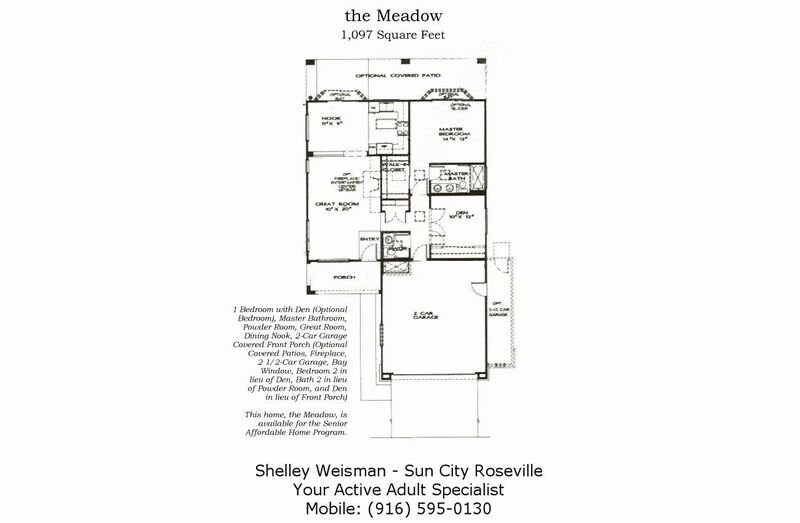 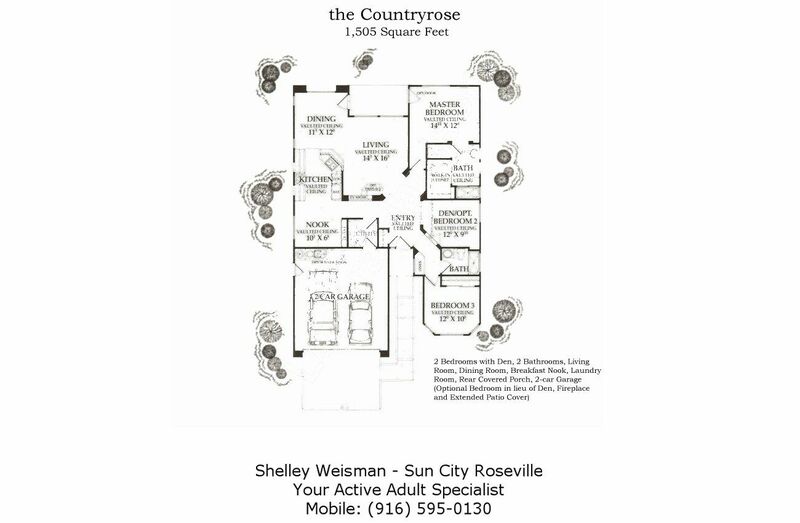 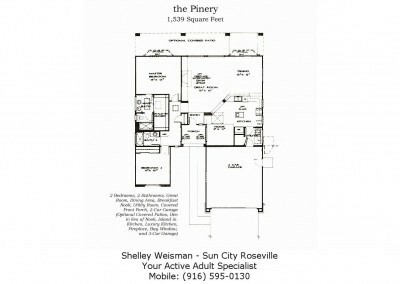 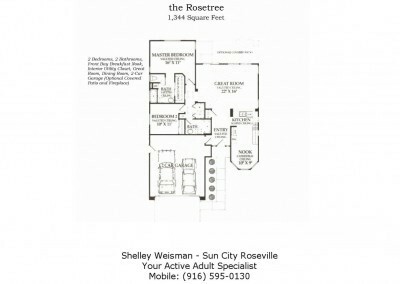 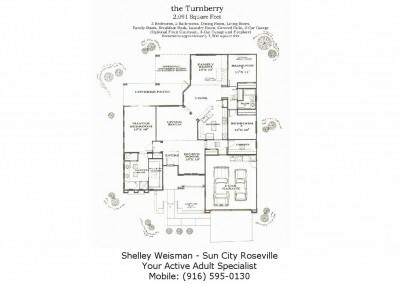 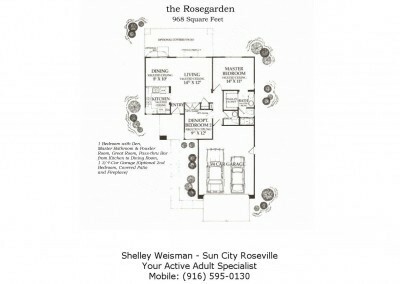 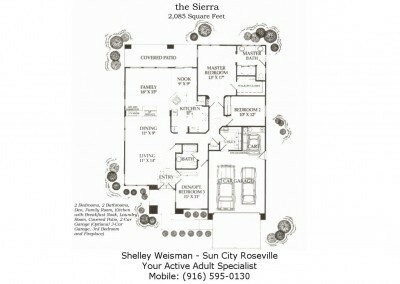 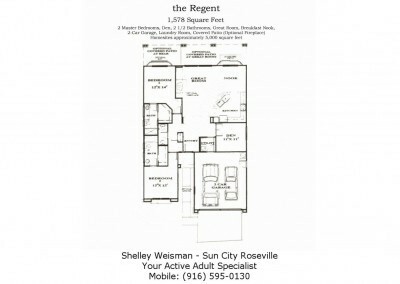 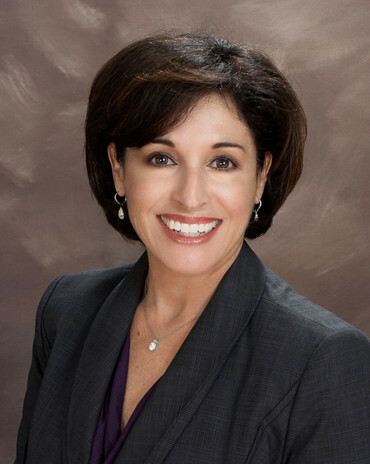 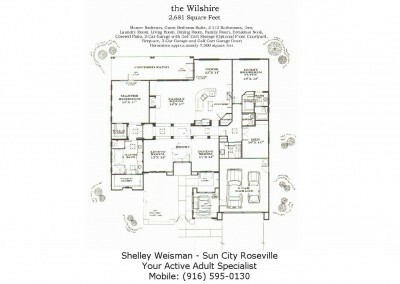 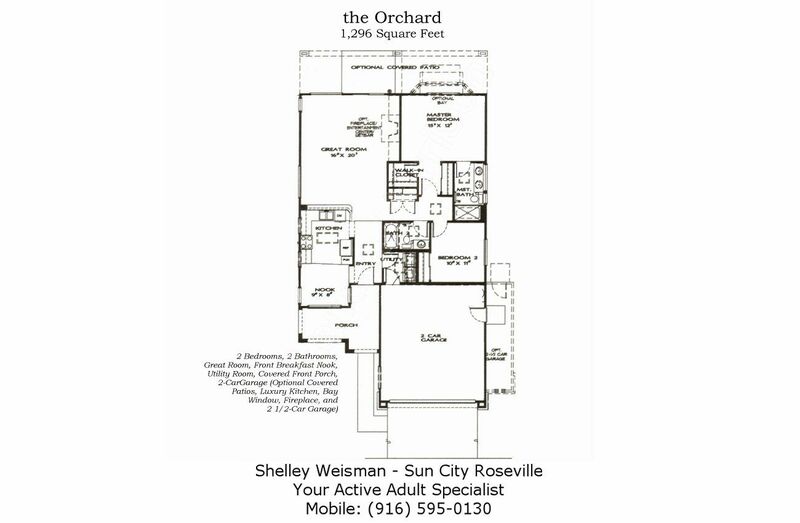 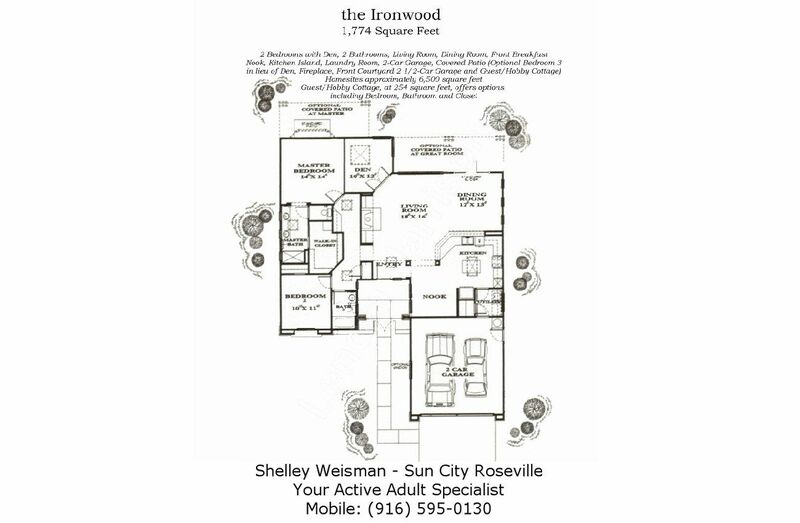 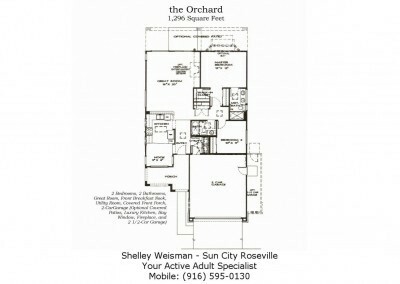 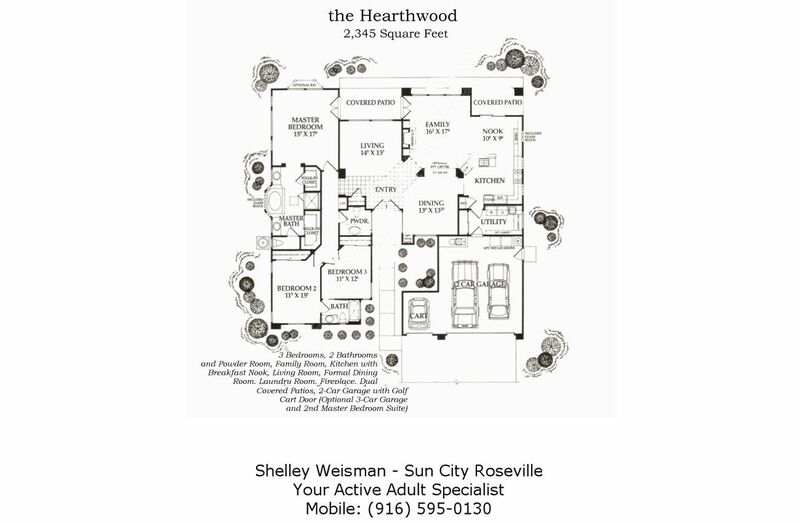 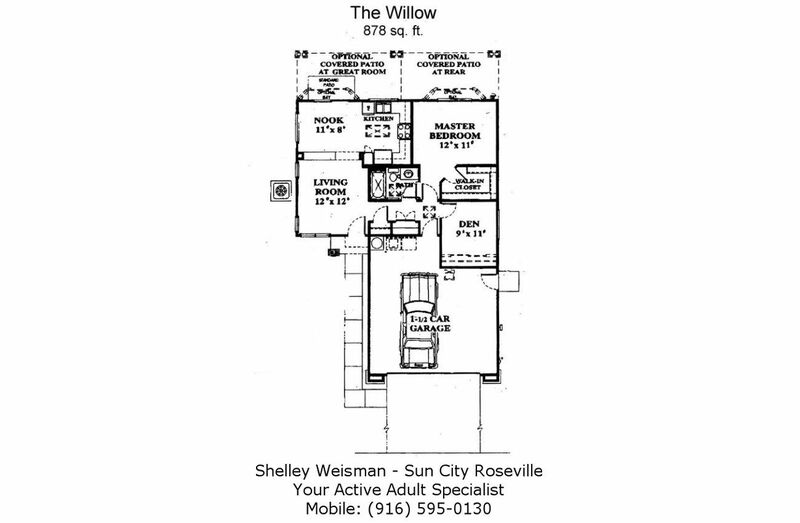 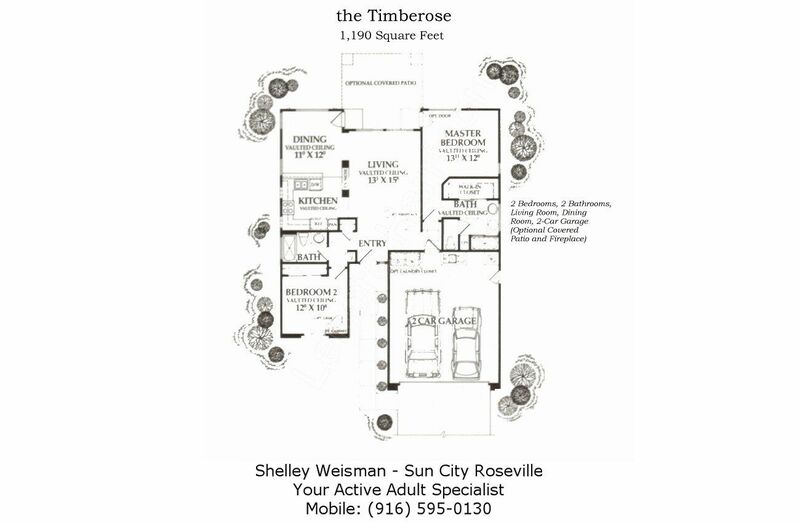 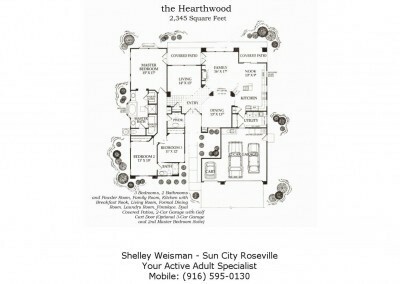 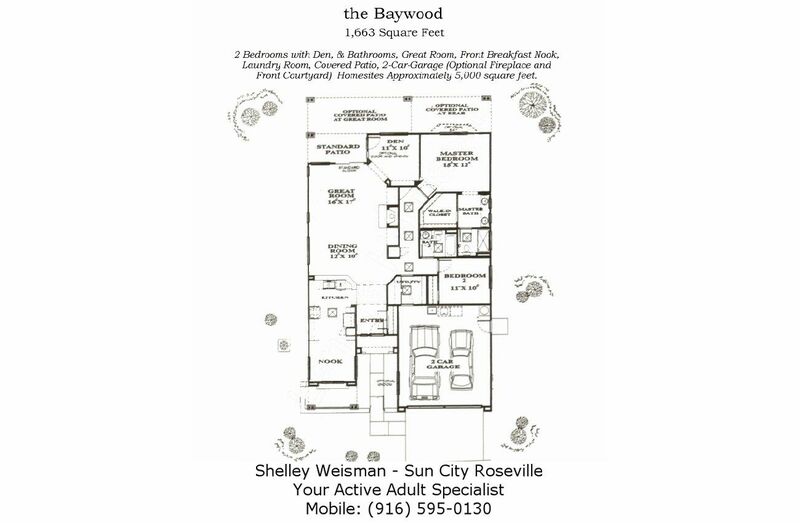 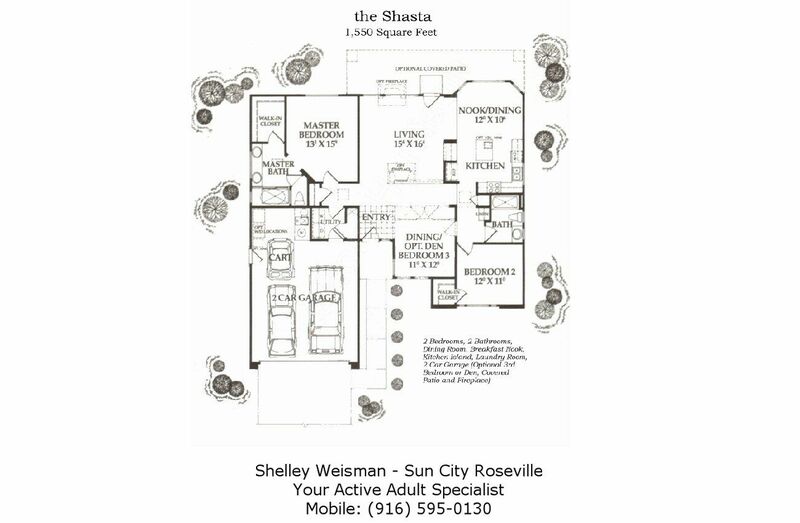 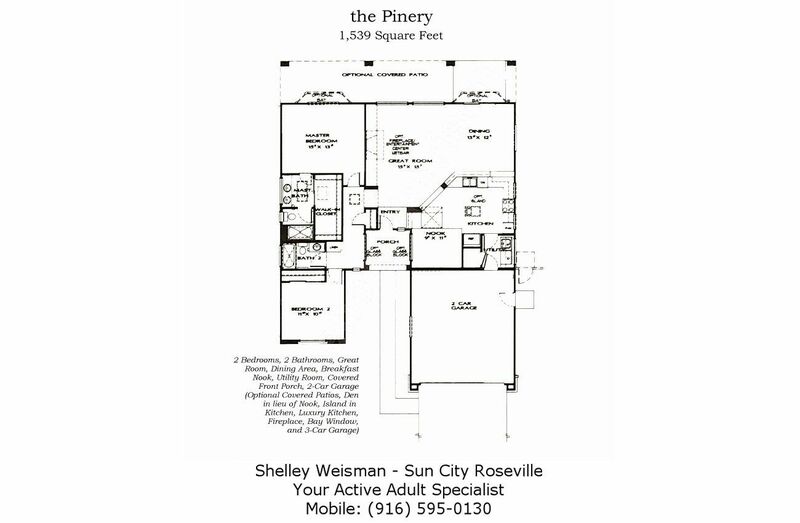 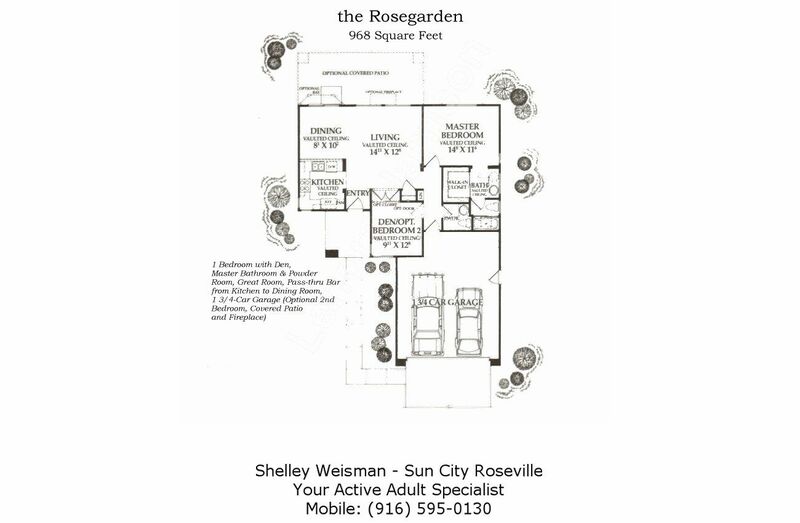 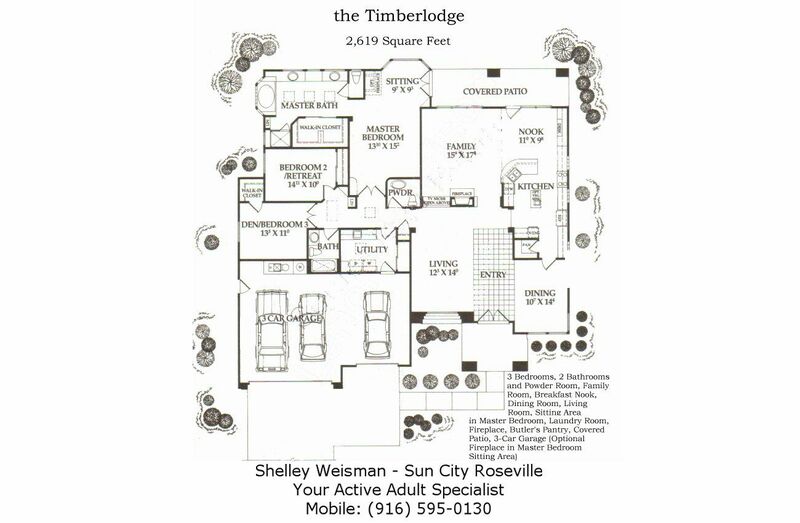 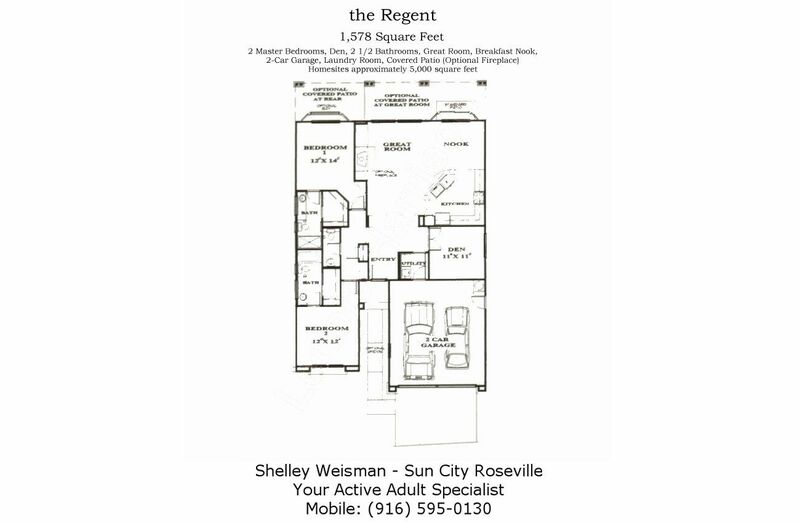 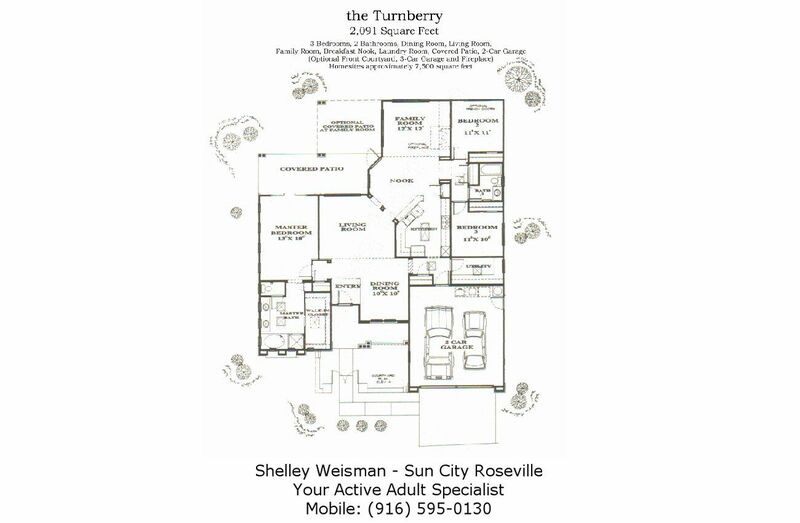 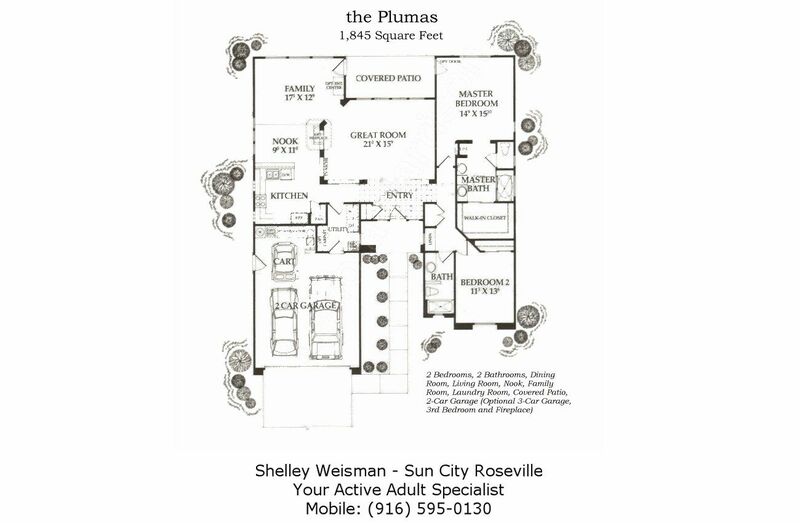 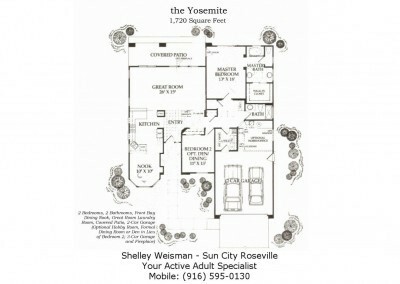 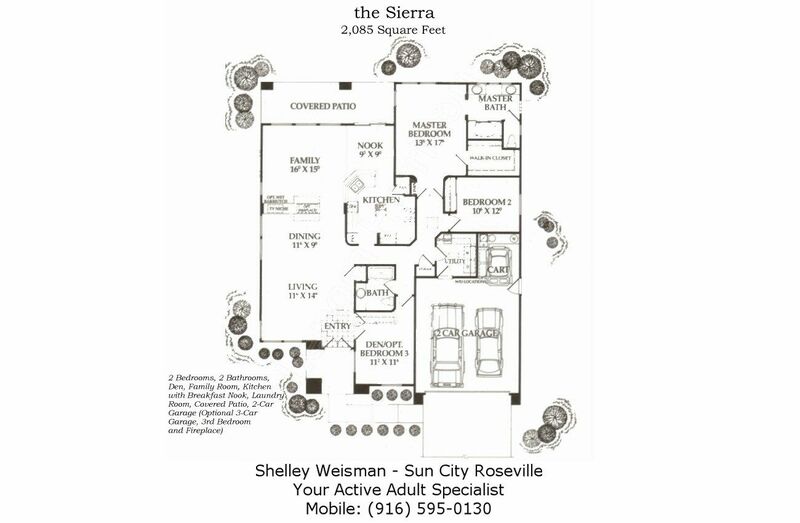 Sun City Roseville is a community owned association that includes 3110 homes with 25 floor plans, ranging in size from 878 to 2681 square feet, all on single family lots. 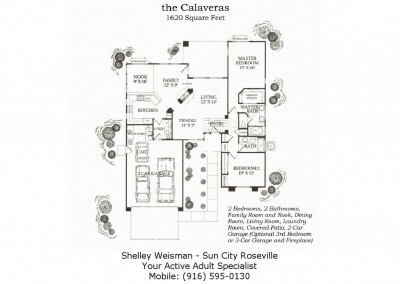 All homes have either 2-car (some with an additional golf cart garage) or 3-car attached garages. 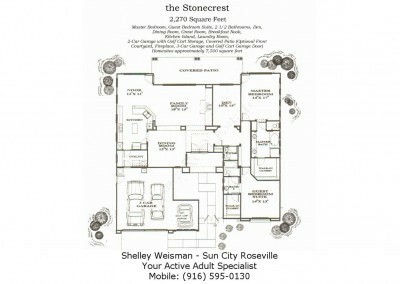 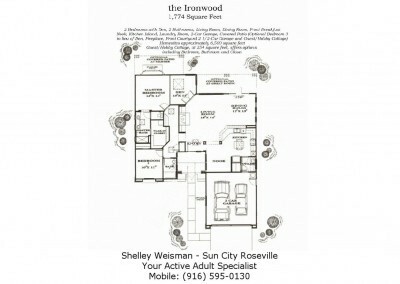 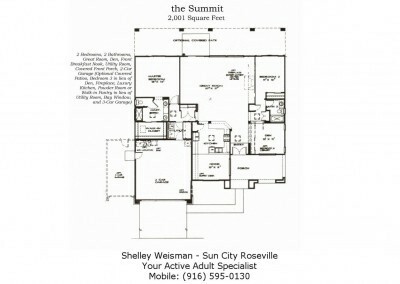 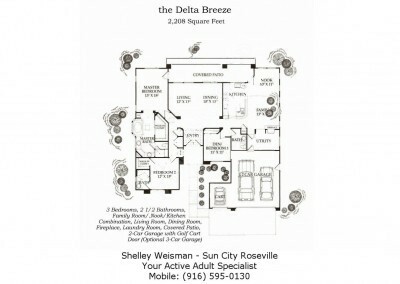 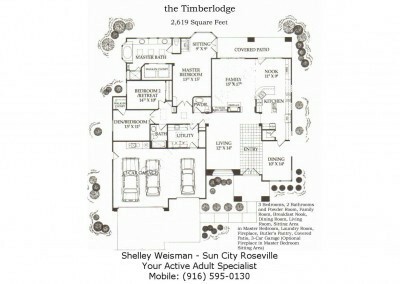 All Sun City Roseville homes are one story, many have fireplaces and easy maintenance landscaping. 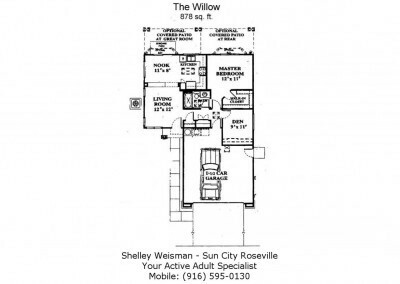 Many homes overlook a natural greenbelt with wild turkey, deer and birds of all descriptions and colors and some homes have golf course views.